Please refer to this revised version of the Salt Lake City Fire Department newsletter. Last month, nine new Fire Cadets were sworn into the Salt Lake City Fire Department. The Cadet Post, currently overseen by our Firefighter Development Coordinator Susanna Alley, provides us with an opportunity to mentor young women and men between the ages of 14 and 18. They learn life skills such as teamwork, commitment, and confidence to name a few. Traits that could help them not only become highly qualified firefighter candidates but successful employees in many other careers, as well. When the Cadets turn 18, they are eligible to apply to be entry-level firefighters and seek guidance from our Recruitment & Outreach Coordinator, Darby Egbert, on how to best navigate our hiring process if they so choose. With the addition of a new Public Education Specialist, we will also be able to reach and educate more young people about SLC Fire and what we do for our community. This may also eventually lead to a rewarding career as a firefighter. For more information on the Cadet Post, reach out to Firefighter Paramedic Susanna Alley at Susanna.Alley@slcgov.com or 385-214-7854. It takes only 2 seconds of exposure to 148°F (64°C) water to cause a burn serious enough to require surgery! Coffee is often served at 175°F (79°C), making it high-risk for causing immediate severe scald burns. Older adults and babies have thinner skin meaning they are at risk for deeper burns and lower temperatures and shorter exposure times. Did you know? When microwaving food, steam inside covered containers can quickly reach over 200°F and burn your hands and face. Pro Tip: Puncture plastic wrap or use vented containers to allow steam to escape while cooking. Or, wait at least one minute before removing the cover. When removing covers, lift the corner farthest from you and away from your face and hands. For burn prevention facts and tips, visit http://ameriburn.org. Discomfort in other areas of the upper body, including pain or discomfort in one or both arms, the back, neck, jaw or stomach. Shortness of breath (with or without chest discomfort). Even if you’re not sure it’s a heart attack, immediately call 911. The fire department and/or EMS staff can begin treatment when they arrive — up to an hour sooner than if someone gets to the hospital by car. 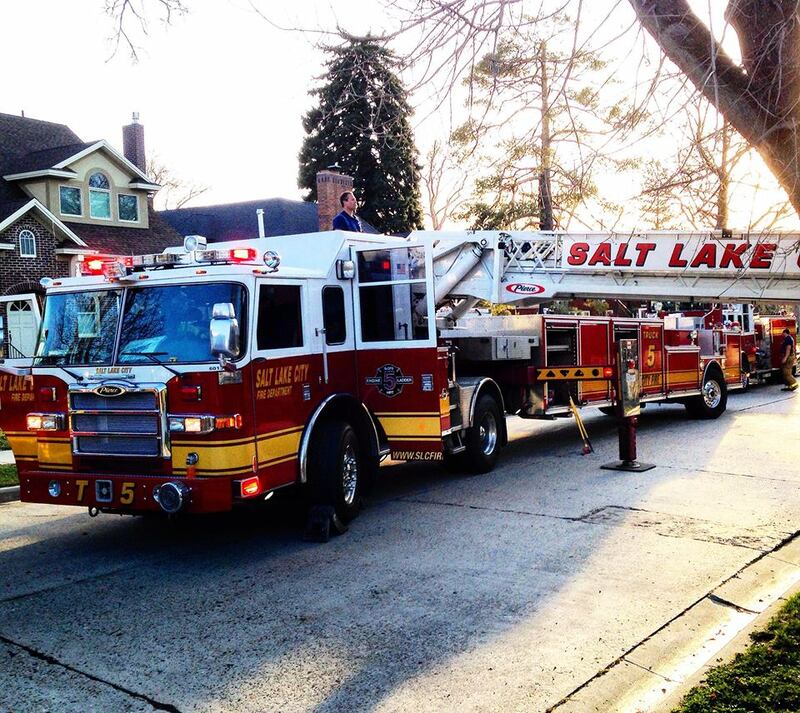 While on a scene, you may notice that fire apparatus have their engines running. There are many reasons for this, among them that the apparatus is pumping water, staged pending a move of location, providing power for the onboard electronics, or re-charging the diesel DEF system. As a rule, we try to shut down the apparatus whenever parked, to both save fuel and to assist in keeping our air clean, a prime concern during winter inversion season. But sometimes, operational requirements dictate that the engines remain running, even when parked.